Remarks Appears in chapel relief in tomb of Senedjemib Inti (owner of G 2370), offering room (= room IV, south wall, fifth register, presenting goose), identified as [(jmj-r sSw) jmj-xt Hmw-kA] (overseer of scribes), under-supervisor of funerary priests; figure distributed over two adjoining displaced blocks of relief originally from G 2370. 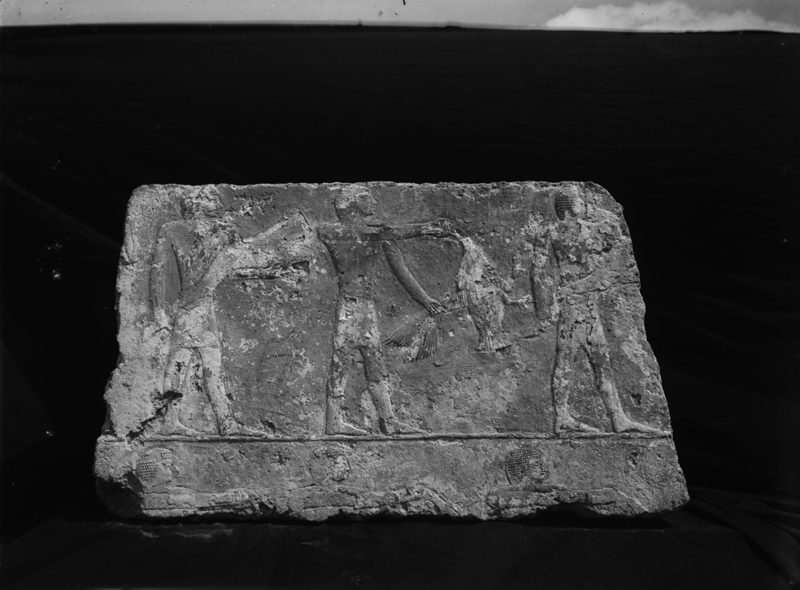 Remarks Appears in chapel relief in tomb of Senedjemib Inti (owner of G 2370), offering room (= room IV, south wall, fifth register, presenting goose); figure and name distributed over three adjoining displaced blocks of relief originally from G 2370. Remarks Appears (name in paint, now completely lost) in chapel relief in tomb of Senedjemib Inti (owner of G 2370), offering room (= room IV, south wall, fourth register, carrying foreleg), identified as [(sHD) Hmw-kA] (inspector of) funerary priests; displaced block of relief originally from G 2370.